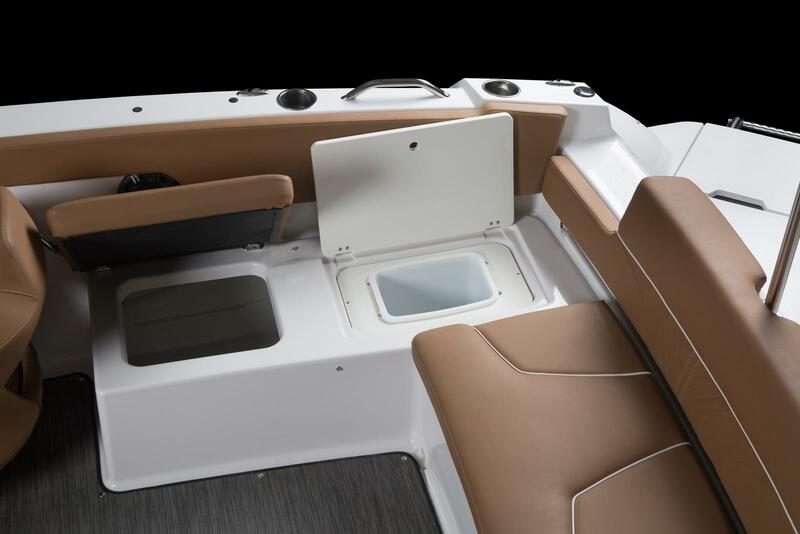 BASE $35,122 Stock boat will have optional items. 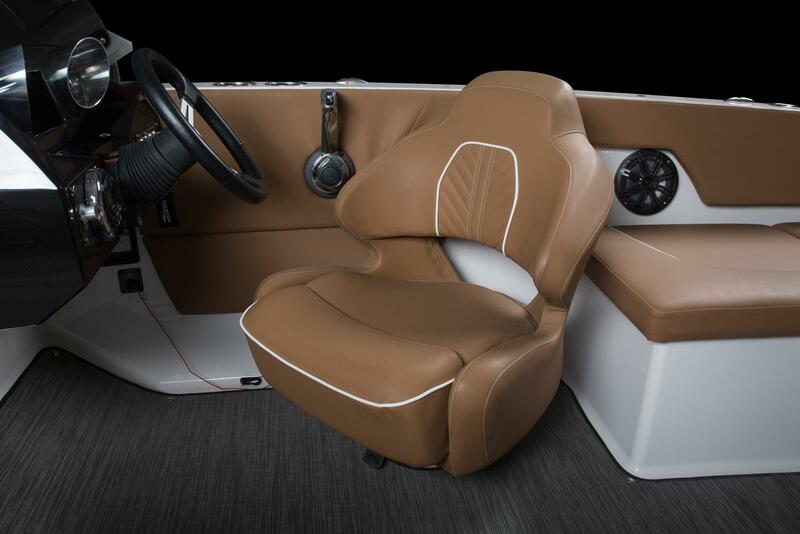 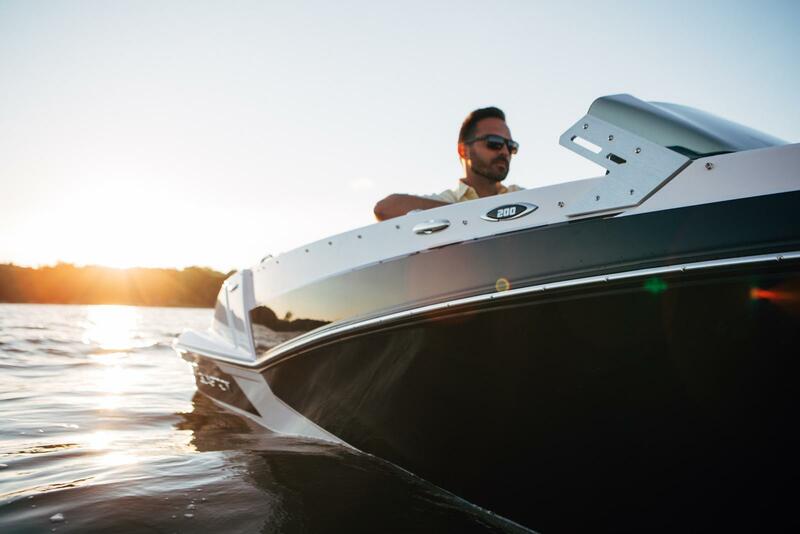 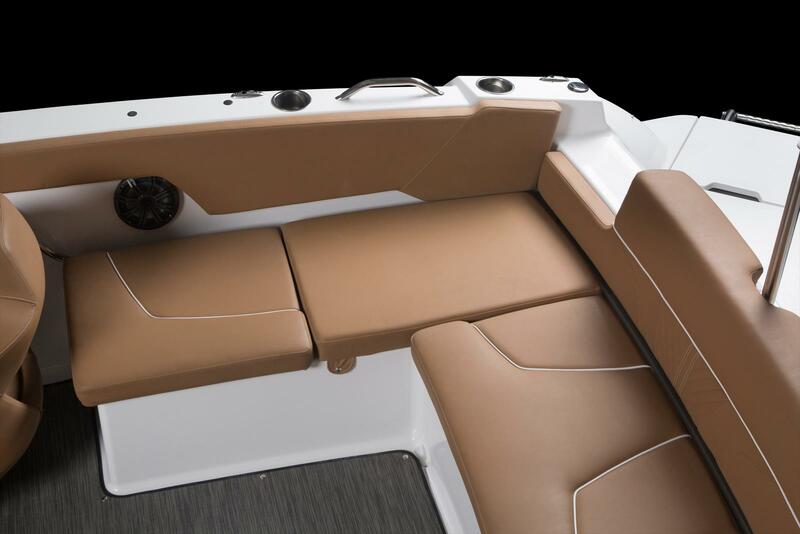 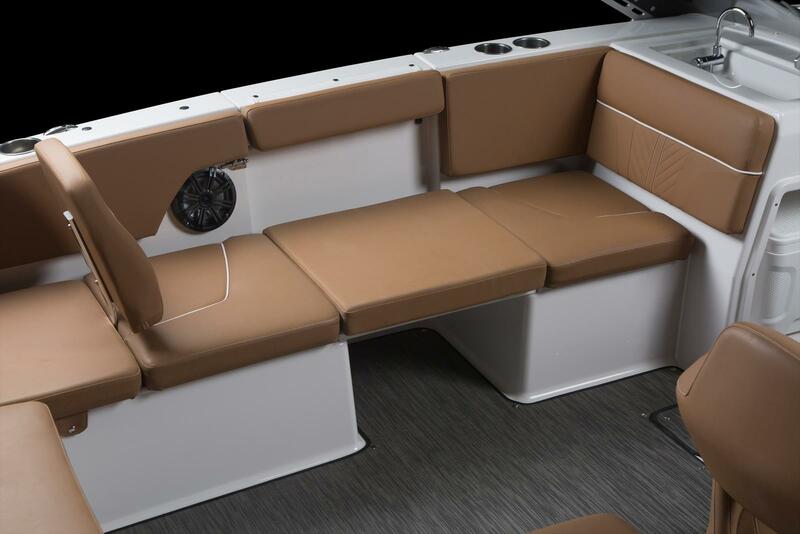 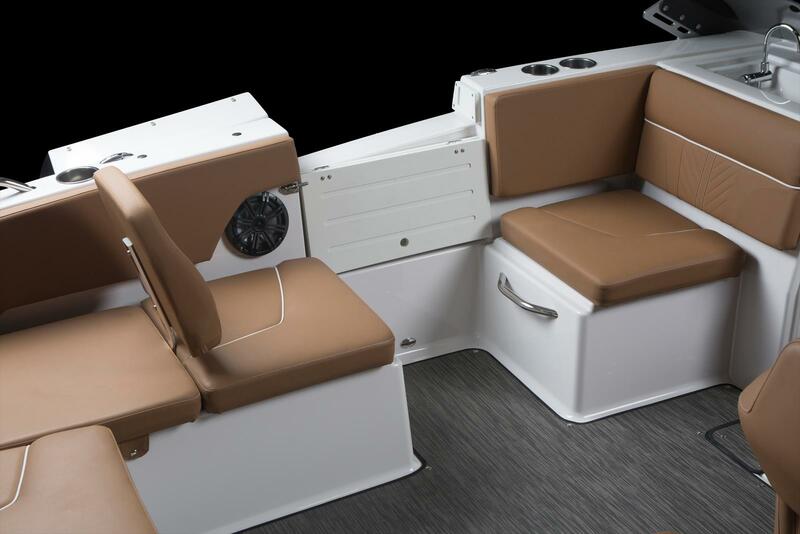 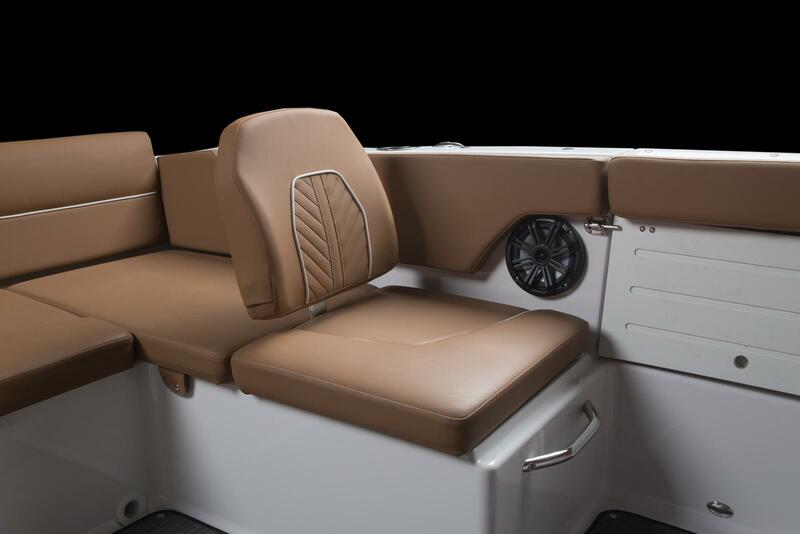 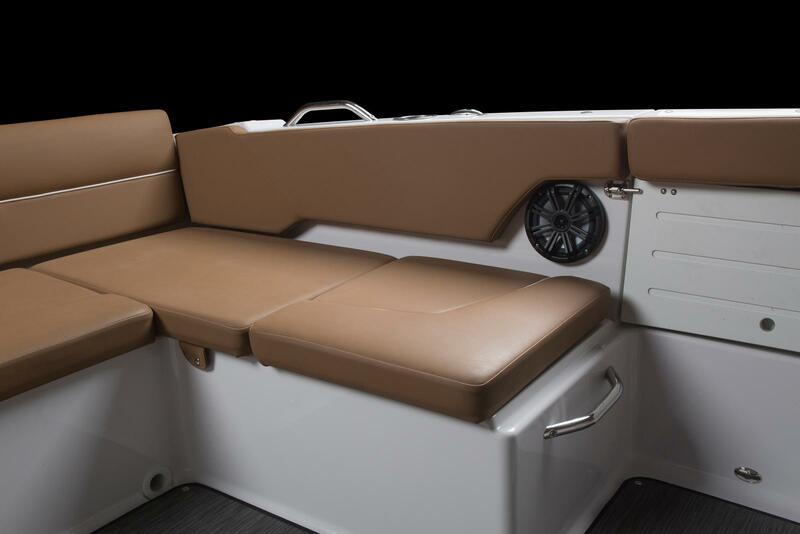 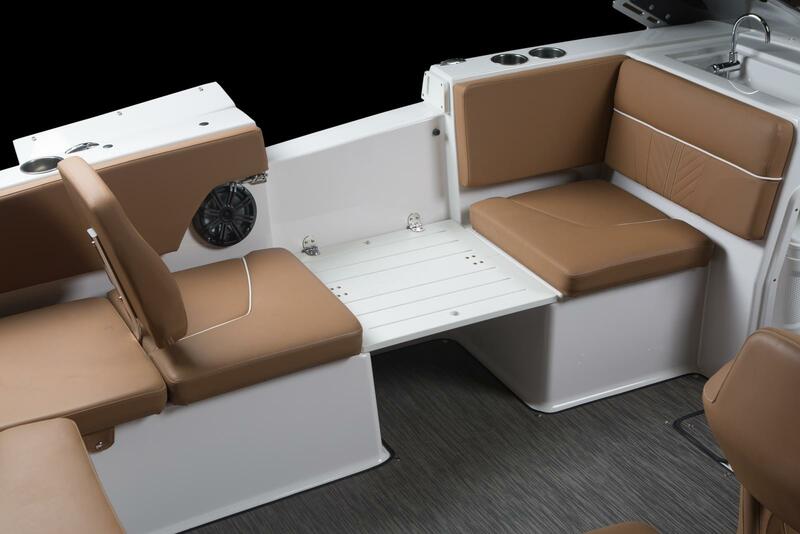 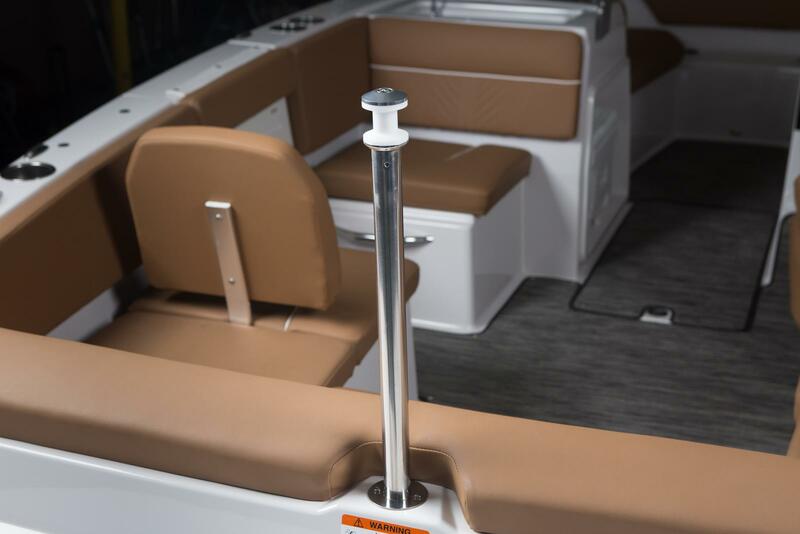 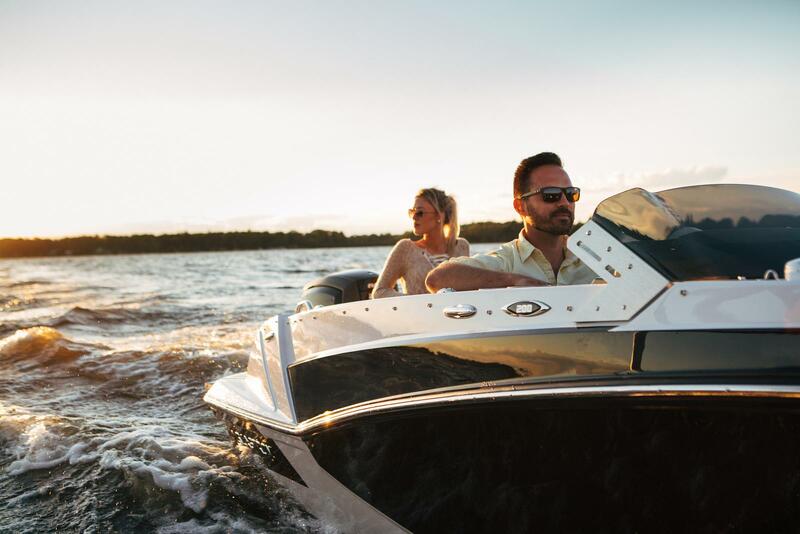 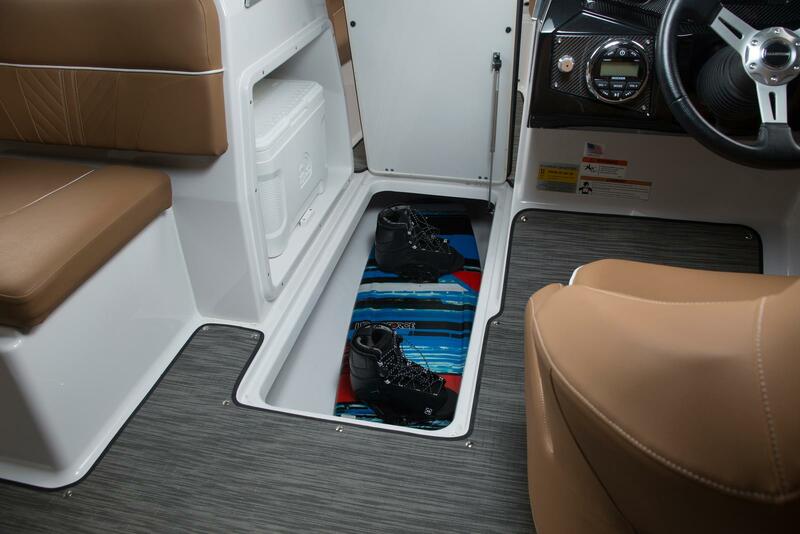 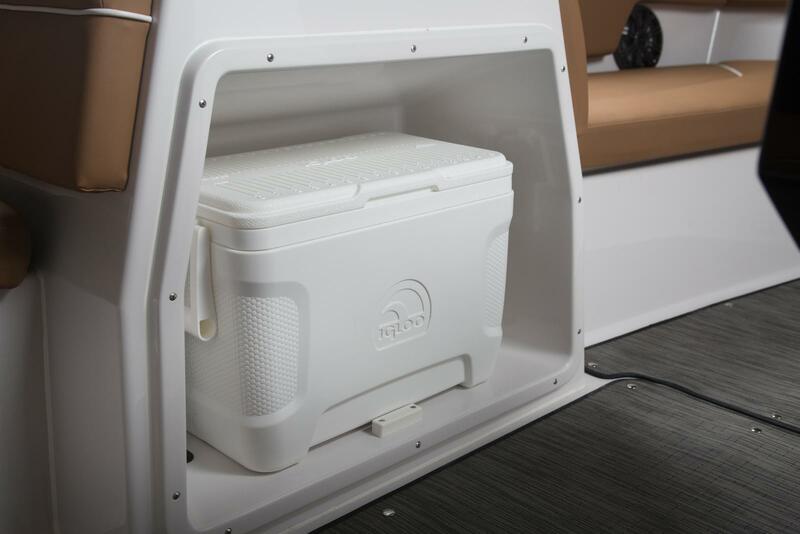 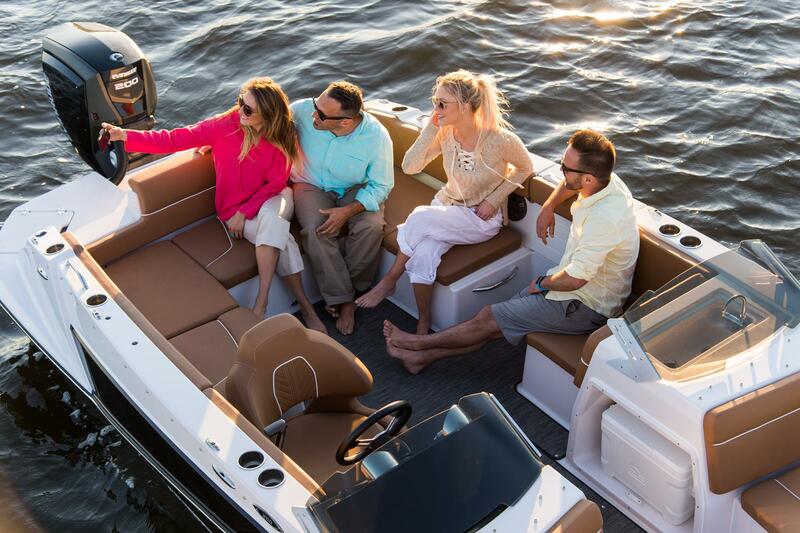 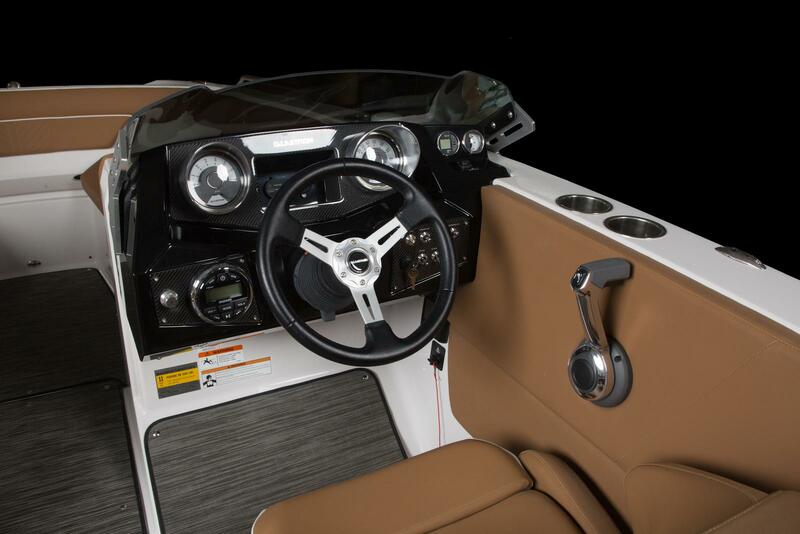 The GTD deck boat series from Glastron is not only redesigned but also innovative, flexible in configuration, plus customizable. 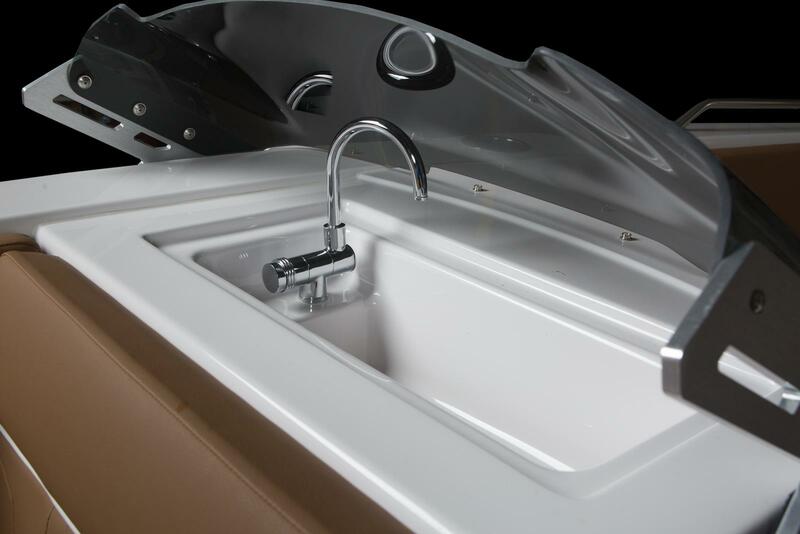 It is affordably priced and we consider it one of the best values in this class on the market. 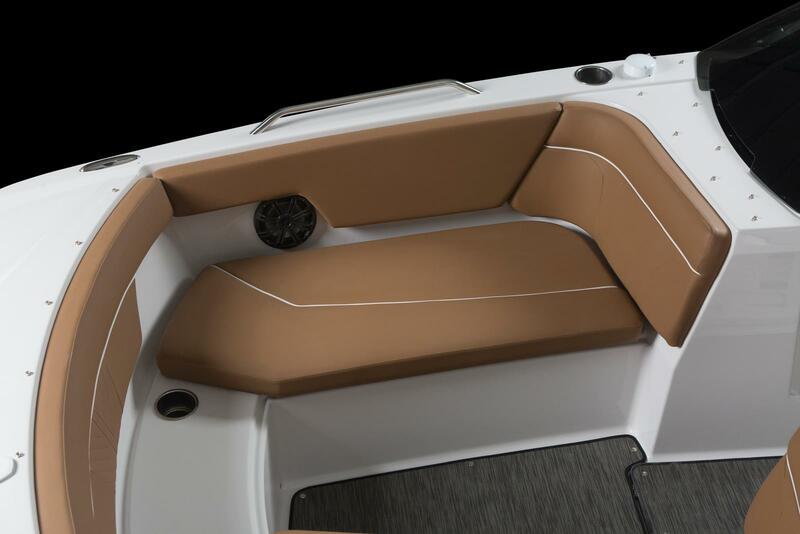 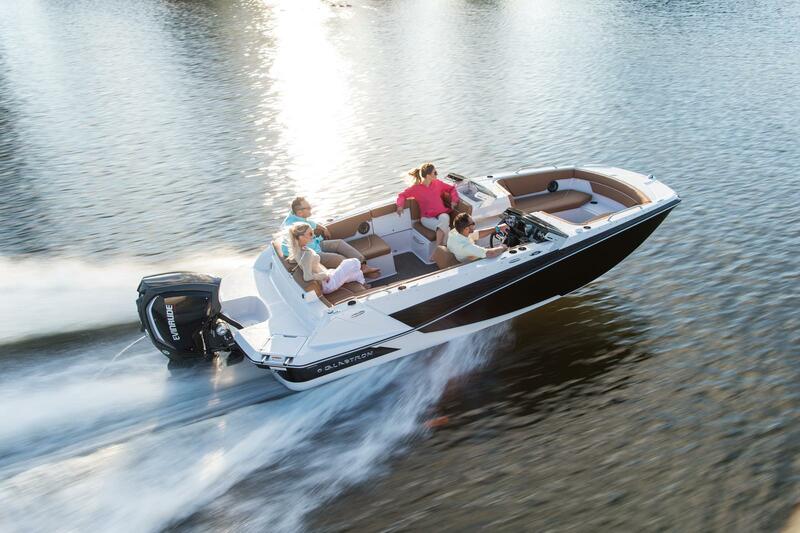 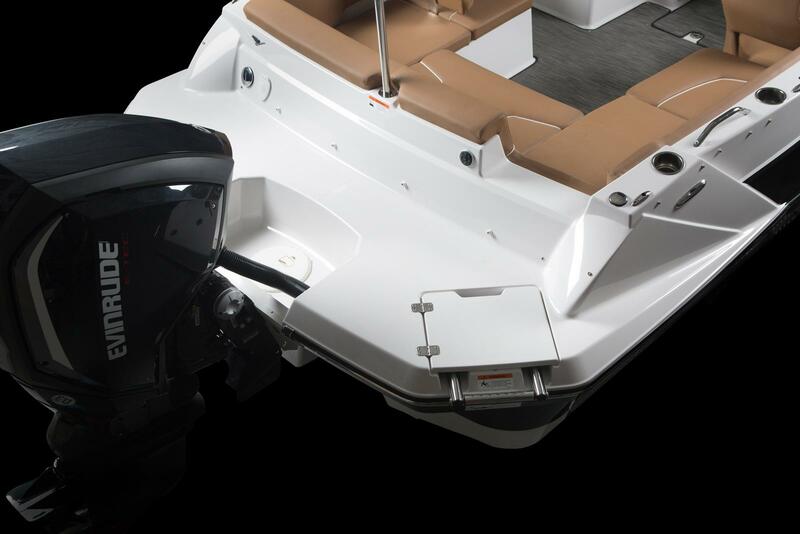 Under power, the SSV hull's wide reverse chines create a "bank" of water for added lift and precise, stable turning. 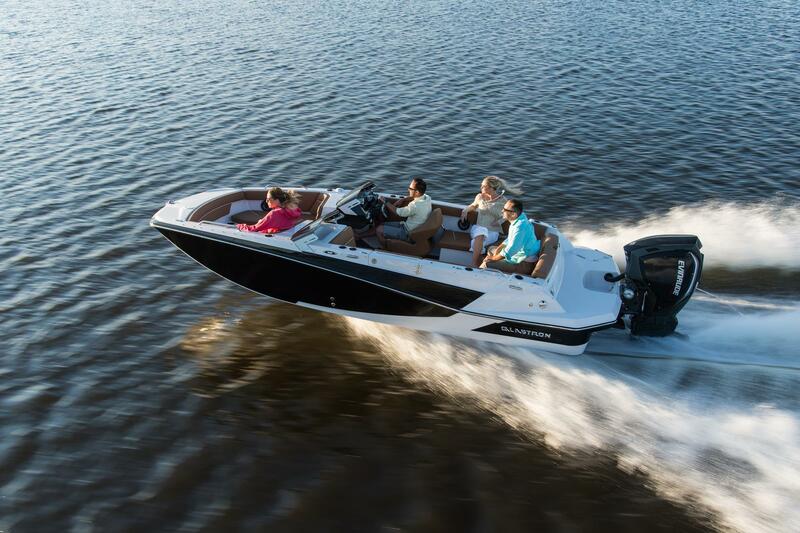 Boats without them have a flatter running surface that results in a more jarring ride with a tendency to slide in turns. 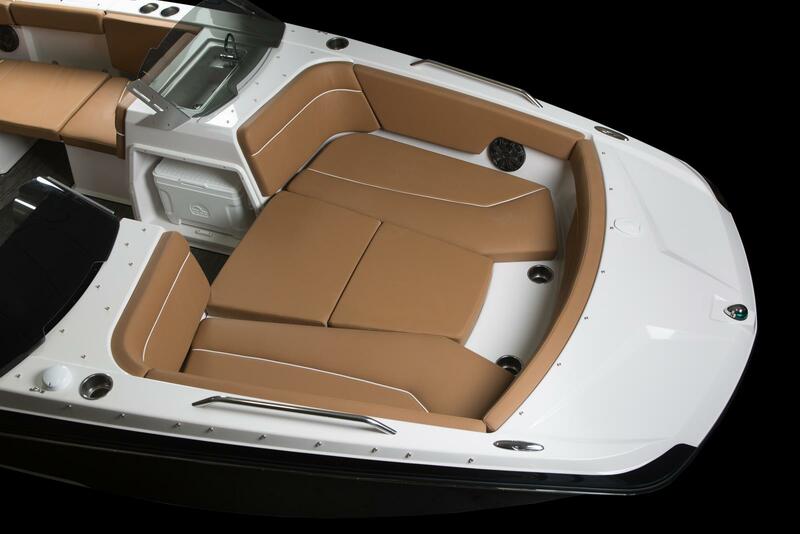 On most boat hulls, the chines diminish in the forward half of the hull. 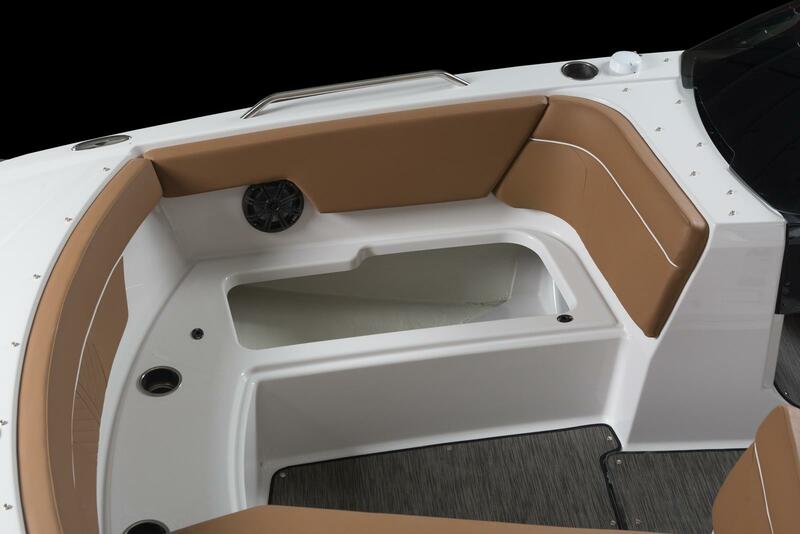 In comparison, the SSV hull's wide chines extend far forward. 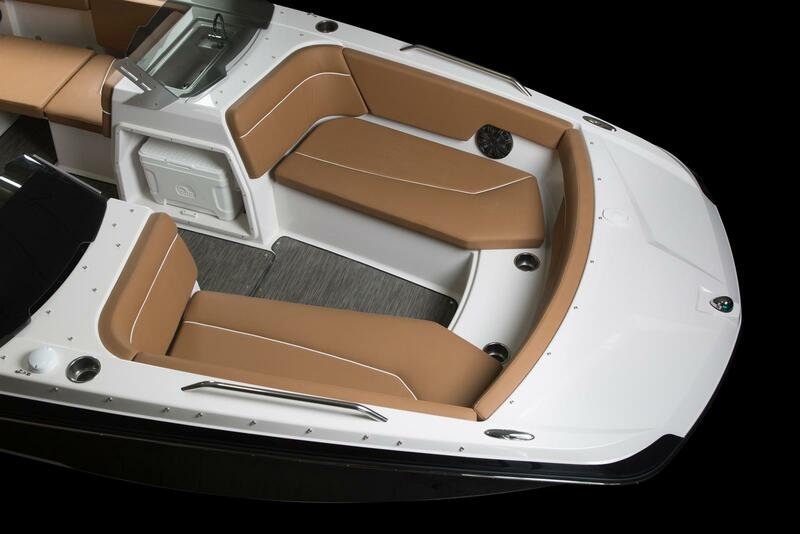 These extended chines reduce rocking from side-to-side and front-to-back by acting as sponsons when the boat is at rest.